As far as I'm concerned, I chose the first one because I don't like the B2 tapestry illustration. 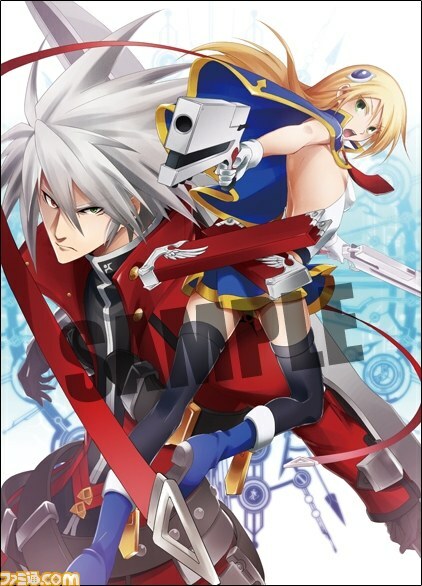 Looking for trade BlazBlue: Chrono Phantasma PS3 (USA region free) for BlazBlue: Chrono Phantasma PSVita (USA region free), also I'm selling this game with pass code and DLC of Terumi. PM me if you're interested. BB:CP is getting a March release in the US. The final LE has been announced. #@#%#!%)1*$^%&!@)!!!! My copy finally came in! :D The LE box is really nice. :] I'll upload some pics later. Goge (5 jaar geleden) #1633888PSP ver. when?